Voted the BEST Cleaning Company in Atlanta! Everyone wants a clean home for various reasons. You may want to reduce the allergens in your home, create a relaxing and welcoming space for guests and family members, or simply want your home to look good. Whatever your reason is, getting our professional cleaning services in Atlanta will help you achieve your ideal home. It doesn’t matter whether you want your entire home cleaned on a regular basis or only need a specific room cleaned for a party or get-together, our cleaning professionals are well-equipped to handle any size home or mess. Our cleaning professionals are experienced, trained, and have the proper equipment to clean your home to your specifications. If you’re tired of being embarrassed about the state of your home, it’s time to call in some help. After having a clean home, you’ll wonder why you waited so long to get professional cleaning services in Atlanta. Many factors contribute to the cost of cleaning services in Atlanta. The size of your home is an important contributor to the overall pricing as bigger homes will cost more compared to smaller ones. The number of rooms or spaces you need cleaned will also contribute to the overall cost. If you need furniture, windows, or the exterior of your home cleaned as well, you will most likely have to pay more. Cost can also be affected by the materials your home is made of. Different countertop materials require different methods of cleaning and painted walls need to be cleaned differently than wallpapered walls. Fortunately, our professionals who specialize in cleaning services in Atlanta know exactly how to clean different surfaces and materials without causing damage to them. The location of your home is also a factor to consider when it comes to the cost of cleaning services in Atlanta. The further our professionals need to travel, the higher the cost may be. It might cost you $25 to $35 per hour to get Atlanta cleaning services for homes that have less than 1,000 square feet, with an average cost of $120 in total. Homes that are 3,000 square feet or bigger pay, on average, $140. Q. Do I need to be home for the cleaning services in Atlanta? A. It’s entirely up to you. You don’t need to be home during the Atlanta cleaning services as long as our professionals have access to your home. If you need to run errands while we’re cleaning, feel free. You can trust us to take care of your home. Q. Can I trust that nothing will get broken or stolen during your professional cleaning services in Atlanta? A. All of our professionals have been through rigorous background checks and we hold them to high ethical standards. If you have a room with a lot of valuables that you don’t feel comfortable having people near, then you can always ask for that room to be excluded from the Atlanta cleaning services. Q. After the cleaning service in Atlanta is finished, how long do I have to wait before I can enter my home? A. After Atlanta cleaning services, you can go back in immediately. Usually, cleaning takes a few minutes to dry, depending on which techniques and chemicals are used for the cleaning. In some rare cases, our cleaning professionals might advise you to stay off some of the cleaned surfaces until they dry completely for you to access. With Sparkly Cleaners, we pledge to provide you with the highest quality cleaning, with the most professional staff, at the most reasonable price ranges that are available. 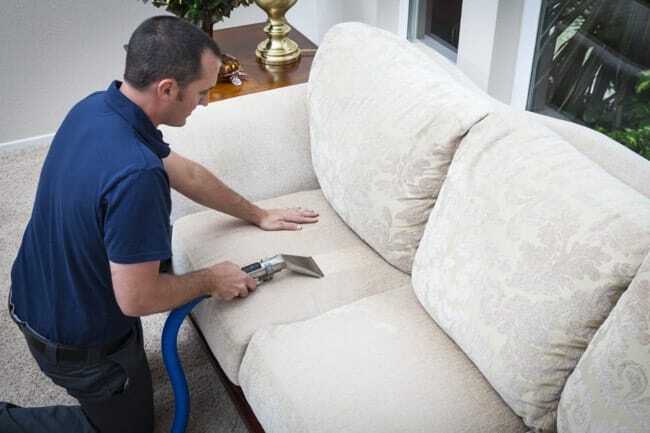 We want every Atlanta home that we service to be 100% satisfied with the cleaning they received, every time we visit. So call in today to get started.